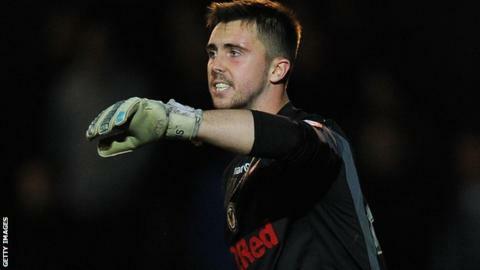 Barnet have signed goalkeeper Jamie Stephens on a one-year contract after his release by Newport County. The 21-year-old made 13 appearances for the Welsh club, having begun his career as part of Liverpool's youth set-up. Stephens will provide back-up for Graham Stack, who played 46 games last term as they won the Conference title. "I'm looking forward to getting games myself and pushing Graham so that we can get the best out of each other," he told the club website. Barnet begin their League Two campaign with a short trip to face Leyton Orient on Saturday.